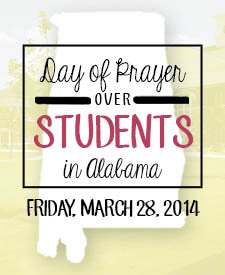 MONTGOMERY, Ala. — The governor of Alabama declared Friday to be the statewide ‘Day of Prayer Over Students Across Alabama,’ urging people of faith to lift up youth in the state in their prayers that they may live godly and honorable lives. The proclamation is the ninth issued by the governor, as the first Day of Prayer Over Students took place in 2006. The occasion was launched by the group First Priority of Alabama, an organization that coordinates the Christian clubs that meet weekly before school and various prayer activities, such as “See You at the Pole.” Moms in Prayer also worked with First Priority to organize this year’s observance, which is held on the last Friday in March every year. The groups urged Christians across the state to get involved in one or more activities, such as becoming a “prayer zone partner” by praying each time one drives past a school, planning a prayer vigil at church or organizing a prayer walk around their local school. “We are thankful once again for the governor’s proclamation,” First Priority of Greater Birmingham Executive Director Matthew Wilson told AL.com. The organization states that thousands have participated in the Day of Prayer Over Students in years past. A tally has not yet been provided for Friday’s observance. 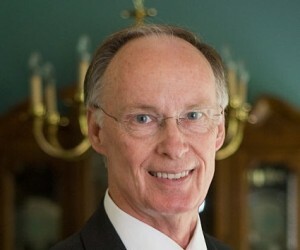 Governor Bentley, who issued the proclamation, is a Southern Baptist and serves as a deacon and Sunday School teacher at First Baptist Church of Tuscaloosa. He has also served on the Youth for Christ Advisory Board, and was the 2009 recipient of the Christian Coalition of Alabama’s Statesmanship Award.